MIGEON, J. - Amérique Méridionale. Amérique Méridionale. - MIGEON, J.
Map maker : MIGEON, J.. Size : 14.4 x 10.6 inches. / 36.5 x 27.0 cm. 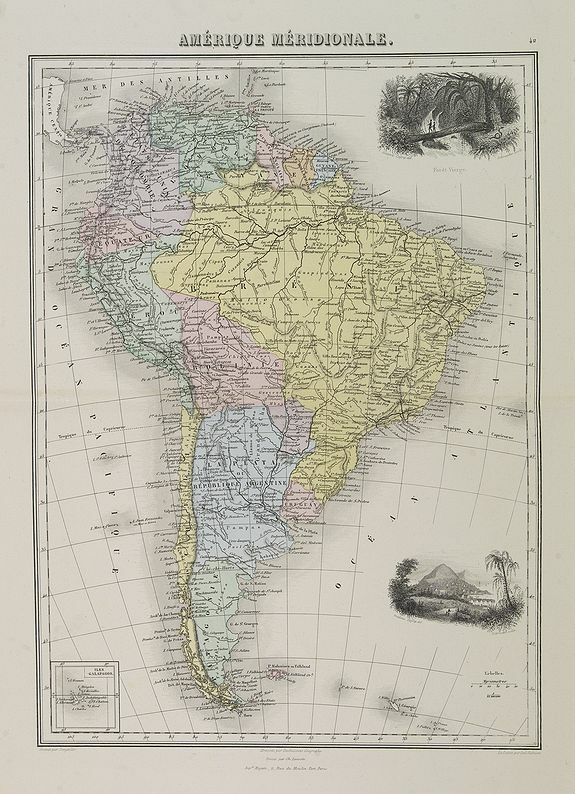 Description :Decorative map of South America from Géographie Universelle, Atlas Migeon. With an inset map of the Galapagos Islands. Published by J. Migeon. Engraved by Sengteller. From one of the last decorative atlases published in the 19th century. Condition : Steel engraving in mint condition.